Here's a pic taken late in the process. The forward wall has been crushed in at three places, and in the center the tank entered almost its entire length. The previous photo shows how the right side had been torn open. And at the rear another CEV has destroyed half the "gym." 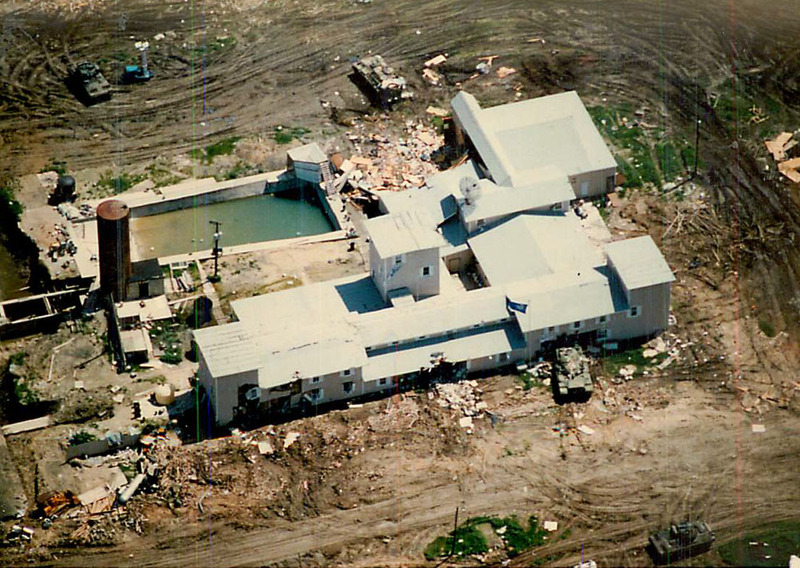 I was there when they took the deposition of Danny Coulson, former HRT commander who monitored the operation from Washington, and he said that until he walked into the room he'd had no idea how much of the building had been destroyed or that tanks penetrated nearly their full length.